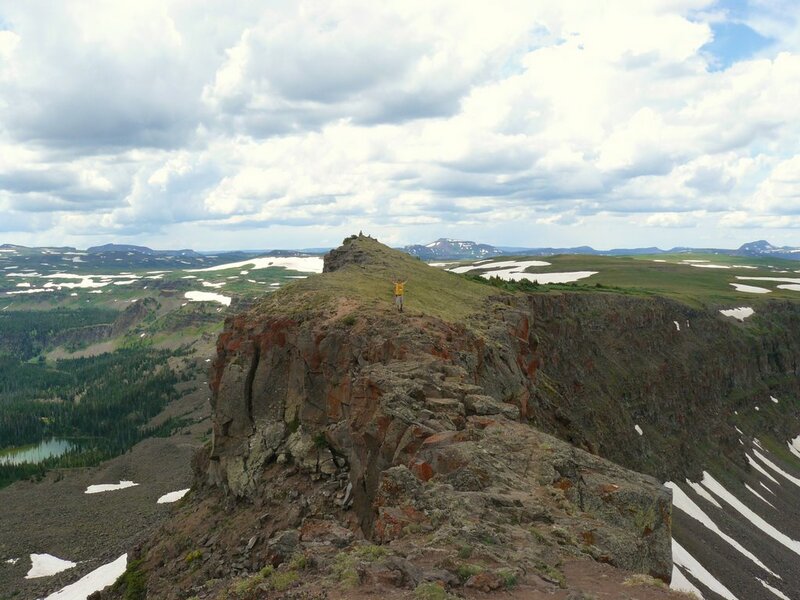 The infamous strip of land is located in the Flat Tops Wilderness, an area of flattened basaltic domes that rise up from the landscape as vast tabletops — anomalies in a part of Colorado more commonly known for its jagged, pyramidal peaks. 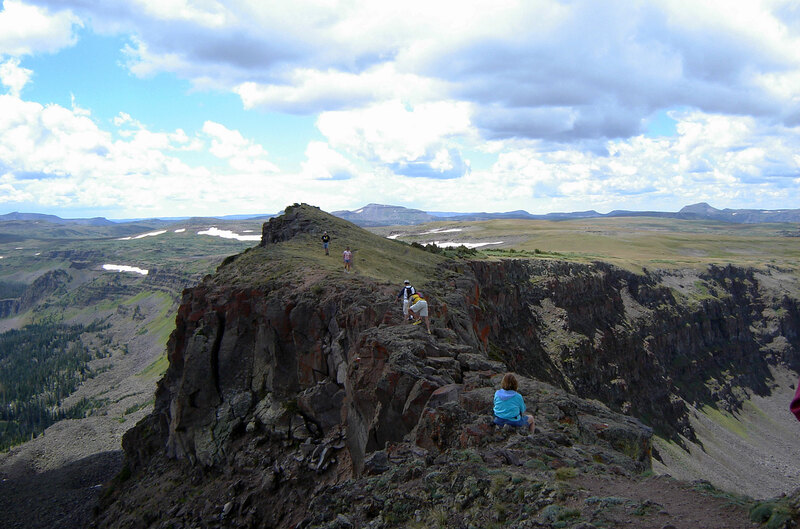 The Devil’s Causeway itself is a narrow ridge of running between the drainage of the William Fork River and the White River. 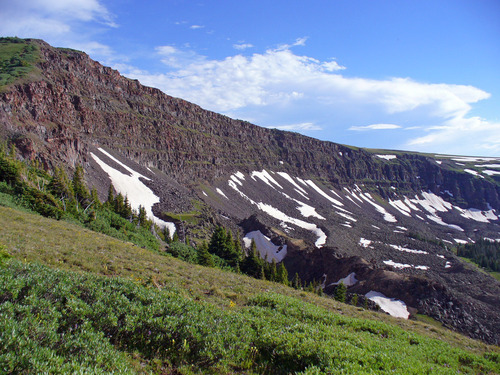 It is accessed only by hikers, usually via a trail that begins at Stillwater Reservoir, east of the small town of Yampa and south of Steamboat Springs. It is a six-mile round-trip venture to the causeway or 10 miles round-trip if you continue on a loop that returns back to the reservoir. Along the rigorous route are several spectacular sights, including the peaceful Little Causeway Lake and meadows sprinkled with bright splashes of wildflowers in the summer. But nothing compares to the thrill of crossing Devil’s Causeway. At 11,800 feet and just four feet wide in places — with sheer drops of several hundred feet on either side — this venture is not for those prone to vertigo. It is said that nearly everyone who attempts the crossing is quite literally brought to his or her knees, scrambling across the rocky path in a low squat. But for those who conquer Devil’s Causeway, victory is sweet — and rewarded with unparalleled views of the surrounding high mesas and the valleys below. From Yampa: Take County Road 7 south for about six miles, then continue an additional nine miles on Forest Service Road 900 to the parking area on the north side of Stillwater Reservoir. Take East Fork Trail, No. 1119.